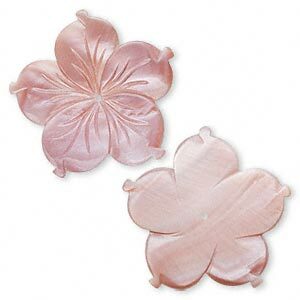 River shell carved flower focal, 30mm. (Natural) Sold individually. 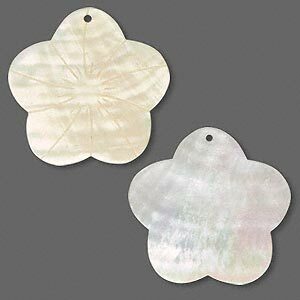 These are natural shell components, please expect variations in size, shape and color. 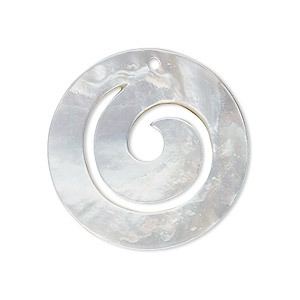 Focal, mother-of-pearl shell (natural), 36x35x1mm carved flower. Sold individually. 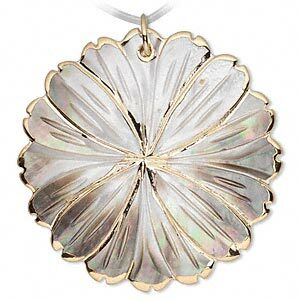 Focal, black lip shell (natural) and gold-finished "pewter" (zinc-based alloy), 50mm flower. Sold individually. 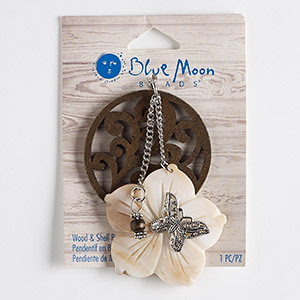 Focal, Blue Moon Beads®, mother-of-pearl shell (natural) / wood (dyed) / silver-finished steel, dark brown, 2-3/4 x 1-3/4 inches with 1-3/4 inch flat round and cutout floral design with 1-3/4 x 1-3/4 inch flower and butterfly. Sold individually. 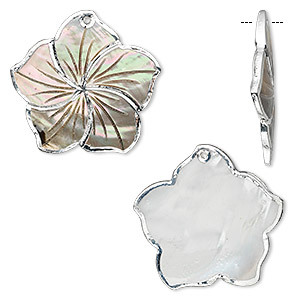 Focal, black lip shell with silver-colored foil and resin coating, 48mm carved flower. Sold individually. 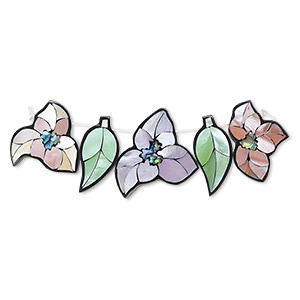 Focal, paua shell / common hammer oyster shell / resin (dyed / assembled), black, 22x22mm / 26x18mm / 26x24mm single-sided flower / 24x12mm leaves. Sold per pkg of 5. Focal, black lip shell (natural), 30mm spiral. Sold individually. 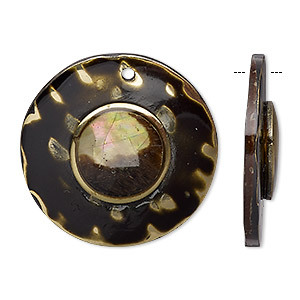 Focal, wood / brown lip tiger shell / resin / brass (natural / assembled), clear, 30mm single-sided flat round. Sold individually. 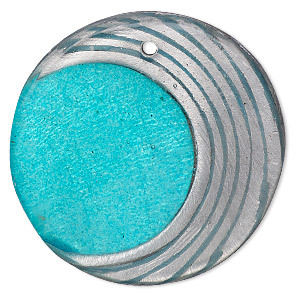 Focal, wood / Capiz shell / resin / aluminum (natural / dyed / assembled), teal blue and clear, 30mm single-sided flat round with curve design. Sold individually. 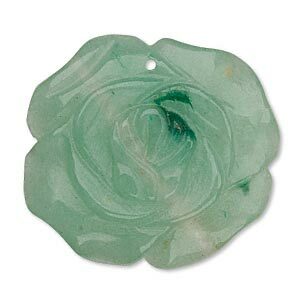 Focal, green aventurine (natural), 40-45mm carved flower, B- grade, Mohs hardness 7. Sold individually. 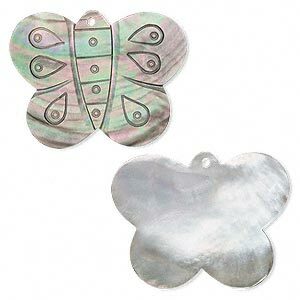 Focal, black lip shell (natural), 51x35mm carved butterfly. Sold individually.